Feel that cool breeze coming in (well, hopefully you do; Florida is getting finicky now with the weather)! That chilly wind (fingers-crossed) means that fall has arrived, and with falls comes Fall Festivals! A well-attended fall festival in the surrounding areas of Keystone Heights is the Micanopy Fall Festival – now in its 44th year. Every time around this year vendors, artists, musicians and craft-folks come from across southeast to celebrate the season. The main street, Cholokka boulevard, is closed and attendees are safely free to roam and visit over 200 vendors participating at the festival. Live entertainment will be scheduled (up date soon). Music will be playing on main stage throughout festival. An auction “Old Time Auction” will be held at the Gazebo Stage Saturday, 2-4 pm. The fall festival is sponsored by a committee comprised of fifteen local nonprofit groups ranging from churches to youth groups to historical organizations. All of the proceeds from the festival go back to these groups to assist in their annual operating costs. 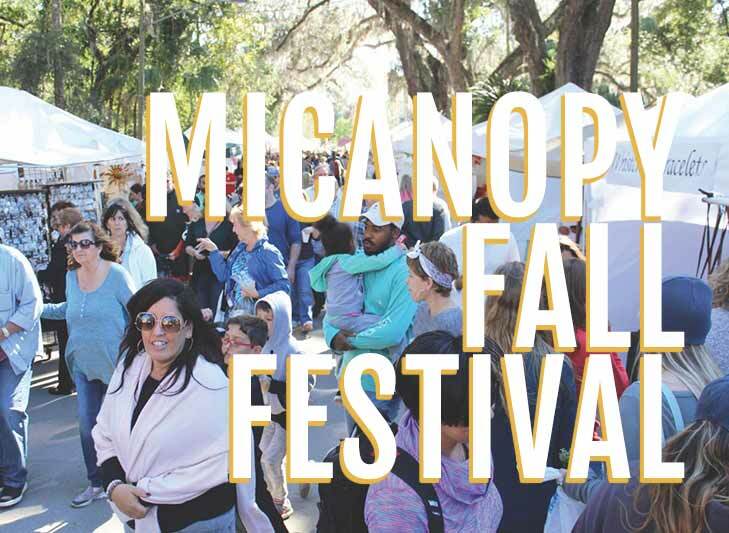 Check out a fall tradition: Micanopy Harvest Fall Festival.